Father's Day is coming up this weekend and try as we might, we couldn't find a lot of info out there about Father's Day weddings. It seems that when people get married on Father's Day they just don't make a big deal about it. Still, we didn't want to leave Dad out in the cold, so we instead of Father's Day weddings, we took a look around for "Weddings Dad Would Like." I don't know about your dad, but mine would love this Star Trek wedding ring we read about on Huffington Post Weddings. 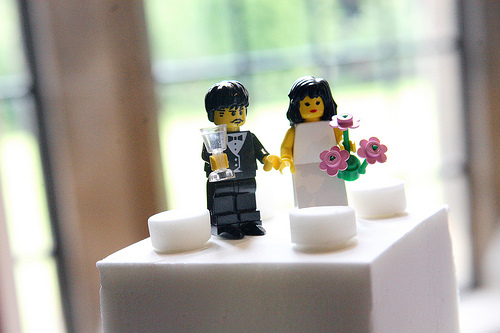 He was always buying us Legos when we were kids, so I'm pretty sure he'd approve of this Lego Wedding. 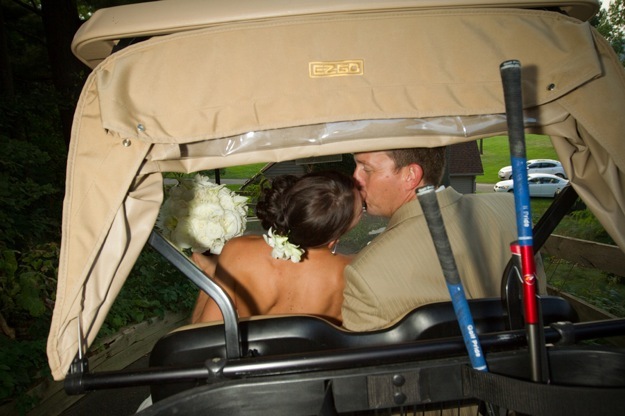 Now, my dad isn't much of a golfer, but I know a lot of dads are, so you might want to check out the Golf Themed Wedding we wrote about earlier this year. Of course, if you're looking for more practical advice, we cover father-daughter dance songs and tips as well.